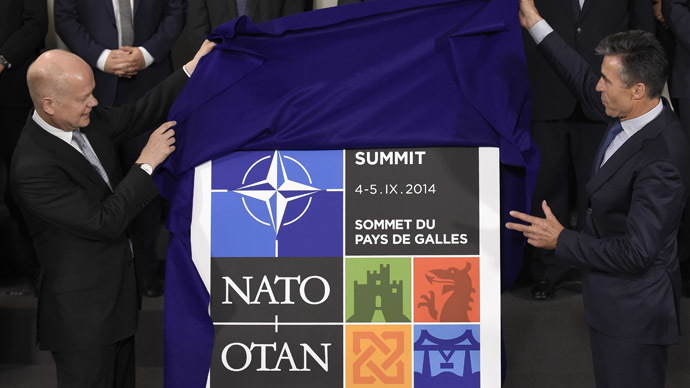 Barack Obama and David Cameron will urge NATO members to increase military spending at the alliance’s summit in Wales, amid growing geopolitical tensions, Europe-wide austerity, and criticism that some countries are getting a “free ride”. The NATO summit, which kicks off later this week, will see Obama and Cameron urge European state leaders to protect their continent from amplifying threats by honoring commitments to allocate a minimum of 2 percent of GDP on defense spending. NATO members attending the two-day summit in Newport will also debate how best to deal with the ongoing crises in Iraq and Ukraine. While the White House has insisted increased military spending is a “top priority”, many diplomats believe the US administration’s plea will be rejected by EU states that are still suffering from the ravages of a deep recession. At present, only two NATO members have reached the 2 percent target other than the US and Britain. A group of former military commanders said on Saturday that NATO states must take responsibility for their share of the military cost of sustaining the alliance. A former head of the UK Royal Navy, Lord West, argued people in certain states are simply not spending enough, emphasizing that France and Britain were the only EU states that are meeting the two percent NATO target. Lord West went on to suggest that NATO, in its current guise, was effectively “broken” at a time when Russia and other states posed a considerable threat on the international stage. 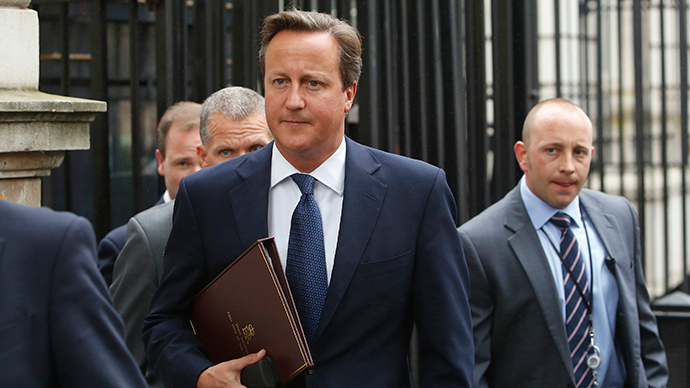 But EU diplomatic sources said it is unlikely that key European countries will pledge such spending increases. Rather, it’s more probable that agreements brokered at the summit will hinge on the vaguer notion of attempting to meet proposed targets. Meanwhile, in the biggest policing operation of its nature in British history, roughly £50 million has been channeled into providing stalwart security at the NATO summit in Wales. At least 9,000 police officers will take part in the operation. As a means of testing this mammoth security enterprise, special vehicles, aircraft and police officers will carry out a range of operations in South Wales in the run-up to the summit. Chief Superintendent Alun Thomas has assured residents they shouldn’t be alarmed by the military presence over the next few days, emphasizing it is “essential to test our procedures alongside our mutual aid policing colleagues and partners from the military”. In preparation for the summit, a “ring of steel” likened by some to the Berlin Wall has also been erected in Newport and Cardiff city center. 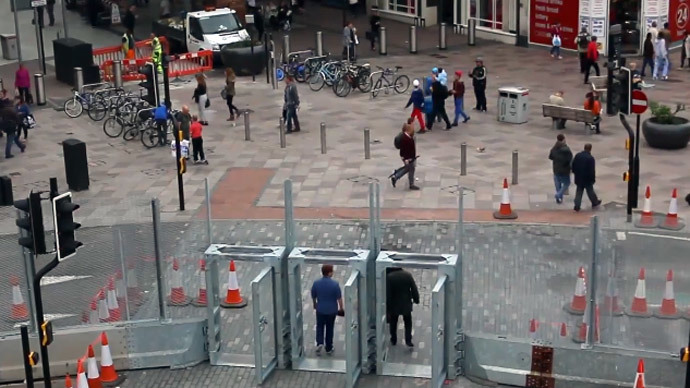 Ten miles of nine-foot high security fencing has been constructed to form a protective barrier for world leaders set to attend the conference. The fencing has been built amid fears of a potential attack by fundamentalist Islamic extremists. Meanwhile, a peace camp has been erected at Cardiff’s Tredegar Park, where demonstrations are currently taking place and are set to continue until September 4. More than 20,000 peace activists and anti-war protesters from varying states around the world are expected to partake in the demonstrations there over the next week. 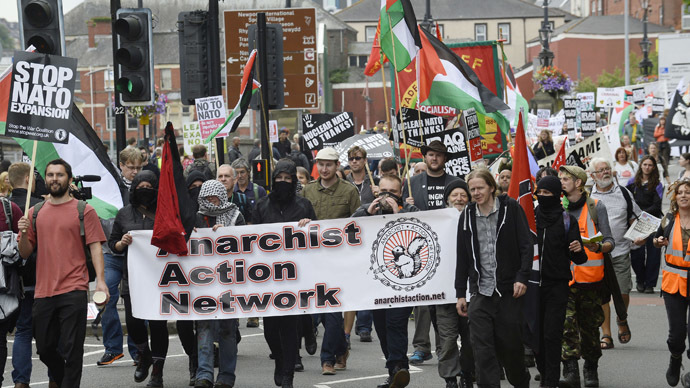 Campaigners held the first march on Saturday, followed by a counter-summit on Sunday. 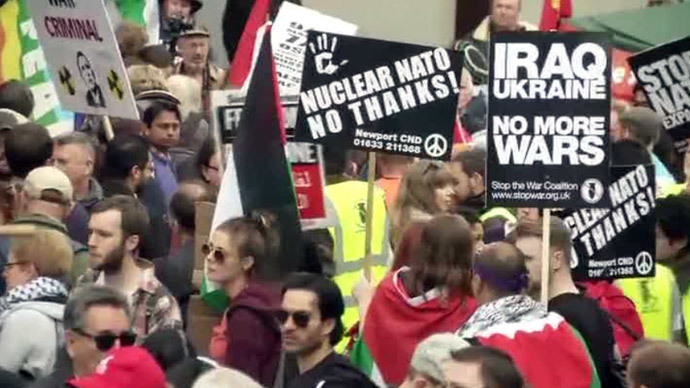 Among the groups attending, are No to NATO, the Campaign for Nuclear Disarmament (CND), the Stop the War Coalition and South West against Nuclear (SWAN). Protesters based at the camp told RT correspondent Harry Fear on Saturday that anti-NATO campaigners associate the alliance with imperialism, war-mongering, global inequality and austerity. Groups highlighting the plight of Iraqi, Afghani and Libyan refugees are also expected to protest in advance of the summit. The role NATO has played in carrying out airstrikes and other forms of attack on these states is causing widespread suffering for refugees based in these regions, according to campaigners. John Rees, of the Stop the War Coalition, argues NATO and the politicians who back it are utterly out of touch with ordinary people. Previous NATO summits in Strasbourg and Chicago attracted thousands of protesters, who demonstrated against global inequality, austerity and war.